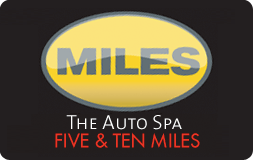 615-786-1000|Monday to Saturday 8:00 a.m. - 7:00 p.m. | Sunday 8:00 a.m. - 6:00 p.m.
We’re the original Auto Spa. A full service luxury car wash and detailing center with a relentless focus on delivering a great customer experience! Beautiful lobby with leather seating, multiple TV’s, free Wi-Fi, coffee bar and more. Are you looking for a quality exterior car wash but don’t need the full spa experience? We have two MILES Express locations where you can get a great exterior wash with one location offering free vacuums and cleaning products for those who prefer to clean their own interior. Our interior and exterior wash including vacuuming, wiping of interior surfaces, and window cleaning. ALL ala carte services listed below. Additional ala carte services may be purchased for $3 each. Our XP3 service plus Turtle Wax™ hand wax. Our XP2 service plus Turtle Wax™ Ice, Hot-wax, towel dry and wheels hand wiped. Our complete exterior only car wash that includes underbody wash, wheel cleaner, tri-color foam, tire shine and rain off. Our Complete exterior only car wash. Additional ala carte services may be purchased for $3 each. The ULTIMATE detail, priced from $198 for compact, two door cars. Consult with our Detail Manager to determine the extent of the service that you prefer. Prices will vary. MILES offers a complete inside and outside restorative effort including buffing and waxing, and treatment to all vinyl and rubber. Interior cleaning including carpet steam cleaning, mat shampooing, and detailed attention to cracks, crevices and all hard to reach areas. Recommended twice per year for the ultimate protection to your vehicle. Our best express detail value. MILES offers this combo including hand buffing and waxing, and treatment to all exterior vinyl and rubber. Complete interior cleaning including cup holders, vents, between seats, and detailed attention to dash, console and leather surfaces. Recommended once per month in concert with our twice per year ULTIMATE detail. A complete car wash with a detailed focus on the exterior – and your time. Includes hand buffing and waxing and treatment to all exterior vinyl and rubber. Wheels and tires are cleaned and treated as well. Recommended once per month in concert with our twice per year ULTIMATE detail. A complete carwash with a detailed focus on the interior of your car – and your time. Includes mat removal and shampooing, spot cleaning of carpets and upholstery, and detailed attention to cup holders, vents, cracks and crevices. 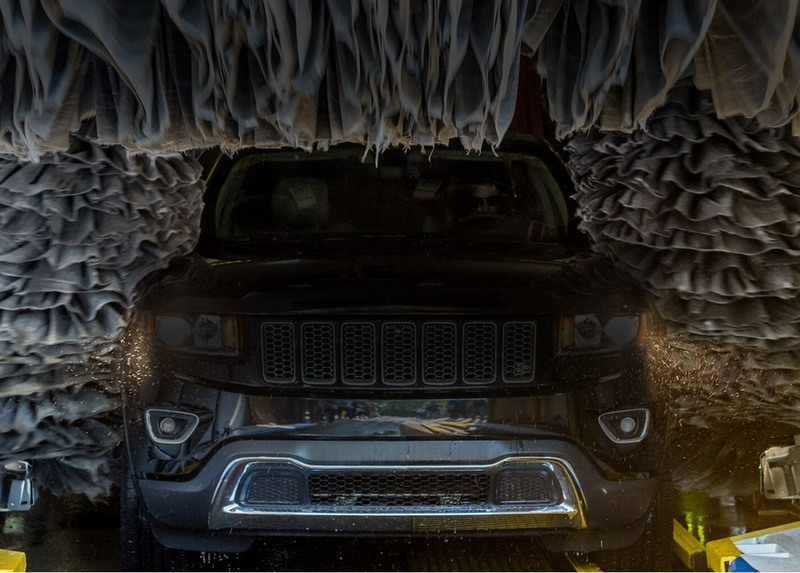 Quick and friendly service with the convenience of remaining in your vehicle during the automated wash process, MILES Express specializes in exterior-only wash options PLUS our Express Wax service to keep your vehicle well-protected and looking great! 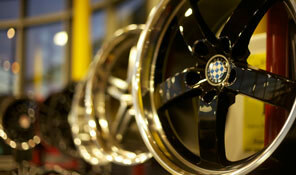 MILES The Auto Spa is the first automobile accessory retailer in this area to offer such well-known wheel brands as BBS, HRE, and TSW performance wheels. We have relationships with local tire distributors that can satisfy everyone’s needs – from SUV and truck tires to the stickiest Z rated performance tires in the market. Upgrade your car, truck, or SUV with quality performance products from the most respected aftermarket wheel and tire companies in the world. Our knowledgable performance consultants can personally assist you in selecting the right upgrades for your vehicle without the hassles of mail ordering and the frustrations associated with installation. By the way – your car is delivered to you not only with a new look – but with a fresh new carwash as well. Try that online. MILES The Auto Spa offers a complete line of custom garage products that will enable you to be as proud of your garage as you are of your kitchen, backyard, or even closets. We feature work benches, storage cabinets, custom flooring, equipment racks, refrigerators and trash compactors by top brands such as Bald Head Cabinets, Gladiator Garageworks, Safe Racks, and Race Deck. Visit today and discuss your needs with one of our garage specialists. We’ll determine what garage systems and products will best meet your needs and put together a plan and estimate that will turn your garage into your favorite room in the house – not to mention giving your cars some respect. 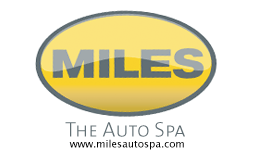 At MILES, we not only pamper your vehicle, we pamper the areas of your home where you use and store your car. 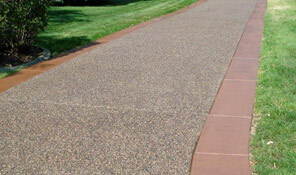 Driveway sealing by MILES deep cleans, beautifies and ultimately protects your home’s driveway. We use specially built equipment to make it the best and most efficient process available. We commit to clean, dry and seal your drive in one day. 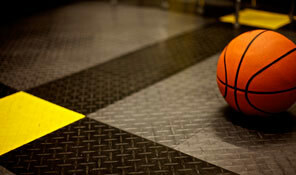 We’ll come out and perform a no obligation estimate, using $.50 per square foot as our base. We just need to determine the size of the area needing to be sealed. Plus, we’ll give you one of our MILES full service car washes for FREE, just for the opportunity. Paint or bumper scratches bringing you down? 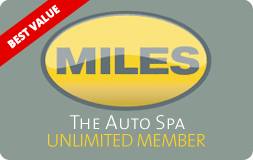 MILES Auto Spa offers automotive paint and bumper repairs at a lower cost, with greater convenience and quality that’s comparable to traditional body shop repairs. And we want to help. Rock chips, door dings, bumper damage and other visible blemishes can all be repaired by our DuPont Certified team. Our DuPont system allows us to match all original manufacturer paint codes – your car’s original color – from the factory. Most repairs are completed in a couple of hours. Full bumper repairs are typically one day. Don’t drive around knowing you’ve got a blemish on your car. It’s just not right. Let us get that handled. Prices start at just $99 per panel for touch up, and $250 for bumper repair. 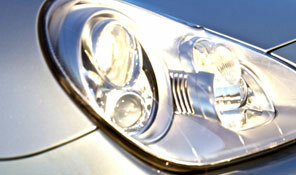 We’re not a fan of yellowed, faded or scratched headlights. Not only are they ugly, they compromise safety. Most new plastic headlights on today’s automobiles become dingy and basically less effective over time. MILES can fix that. We completely restore the headlights of vehicles by removing the scratches, the grime, the discoloration, making the original lenses as good as new. Once that’s done, we apply our 3M clear plastic covers to them, giving them an added layer of protection for years to come. You’ll see the difference immediately. And you’ll see it from farther away. Let us purify your car’s interior with our electrostatic application of the germ killer “Monofoil”. 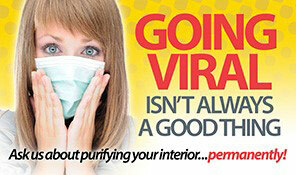 We eliminate germs, viruses and food born bacteria that can accumulate in your car with use. Keep the kids healthy and the car’s interior sanitized. We also offer odor removal that can remove mildew, smoke and all odors from your interior. cards and our club membership. Pay one flat monthly fee, charged to your credit or debit card, and receive unlimited washes for your car. Prepay for UNLMITED car washes. Wash your car on your own schedule and as often as you like. The perfect gift. We add 10% more value to each purchased card, and they never expire! Purchase in person on here online. Our prepaid packages of 5 and 10 washes that have savings over individually priced car washes. Our customer loyalty program offers frequency rewards and discounts. Trade in points for free washes. For every purchase a customer makes for wash and detail services, including the coffee bar, points on a one dollar to one point basis are accumulated on the card. As points accumulate on the card, they may be redeemed on a ten to one ratio. For example, an M2 full service wash that costs $29 = 29 points. When a customer builds enough points on his / her card, they may redeem services on a ten to one basis, so when that customer attains 290 points, they could redeem a $29 car wash for free. 1,000 points earns $100 of services, etc. Effectively, this gives loyal customers a long term, 10% discount on future purchases. Finally, we reward you on special dates. If you tell us your birthday, your anniversary or any other date that’s special, and you come in for a car wash on that day – it’s on us. We’ll give you a full service M1 car wash on that day for free. Monday to Saturday 8:00 a.m. – 7:00 p.m.